At 1st Choice Plumbing, Heating and Drain Service, our heating professionals specialize in Baseboard Heating Repair in North NJ. If the baseboard heater in your home has malfunctioned, our heating professionals have more than 30 years of providing customer satisfaction with our baseboard heating repair services in NJ. Our heating professionals specialize in efficient Baseboard Heating Repair in North NJ to ensure your family and guests are provided with a comfortable environment to function in. Without a properly running baseboard heater, your home will not be provided with enough heat to last the winter. Depending on the condition of your baseboard heater, you may not be receiving any heat at all. No matter what condition your baseboard heater is in, 1st Choice Plumbing, Heating and Drain Service provides quality baseboard heating repair services in NJ. Our Baseboard Heating Repair in North NJ is affordable and guaranteed to provide your property with the perfect amount of heat. If your baseboard heater is damaged beyond repair, 1st Choice Plumbing, Heating and Drain Service provides baseboard heating replacement in NJ. Whether you need a completely new baseboard heater or a Baseboard Heating Repair in North NJ, our heating professionals work with all major baseboard heater models and brands. At 1st Choice Plumbing, Heating and Drain Service, our baseboard heating repair services in NJ are dependable and are guaranteed to stay within your budget. For more information on our Baseboard Heating Repair in North NJ, call 1st Choice Plumbing, Heating and Drain Service at 201-288-0390. Ask about our free baseboard heating repair quote today. 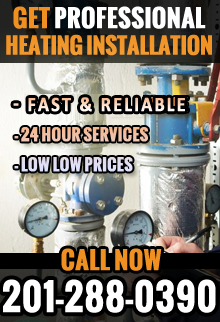 1st Choice Plumbing, Heating & Drain Service – Your trusted source for Baseboard Heating Repair in North NJ.